Today is an exciting day for our team! 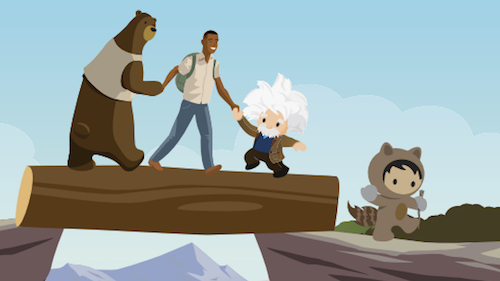 It’s been a thrilling year for social products at Salesforce. In May, we launched a brand new product: Social Studio, built by the incredible teams behind Radian6 and Buddy Media. 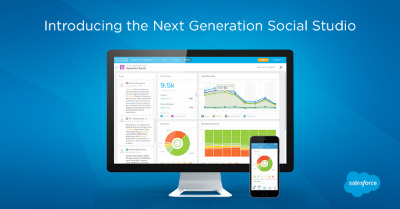 Today, we are unveiling the next generation of Social Studio. Social Studio is our solution for social content marketing, engagement, publishing and analytics, built for both enterprise scale and ease of use. It’s built for enterprise scale with consumer ease-of-use (web and mobile), and allows marketing, sales, and service teams to ‘get social’ like never before. The role of the social team has changed dramatically in the last few years. Previously, “doers” ran every aspect of their company’s social media analysis, content marketing and engagement soup-to-nuts. Today, though, social leaders increasingly need to become “enablers,” as centers of excellence are focused on social strategy, governance, training, and policy. A democratization of social is taking place across different business units, roles, projects, regions, and brands. Marketers need to run social campaigns and use social insights to drive marketing decisions. 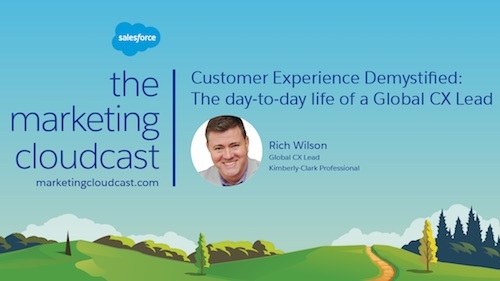 Customer service teams need to surprise and delight their customers with social customer care. Sales teams need to find and connect to new customers faster with social lead generation. Organizationally, social is still often isolated from many of these key customer interactions and touchpoints. This new—and more complicated—world of social media demands new tools. Companies need flexible models for organizing teams and managing access rights. They need a single, simple social application that is easy to learn for employees not specialized in social media. Just as companies need flexible models that enable a more democratized management of social, they also need to be mobile-first in order to respond from anywhere, on any device, at any time. And that social data needs to flow freely between applications and departments to inform business decisions across the company. The next generation of Social Studio is here to solve these problems. Workspaces grow with your social practice, allowing you to quickly spin up the right teams with the right permissions. The addition of social listening functionality to its great user experience means Social Studio becomes a true all-in-one social application. 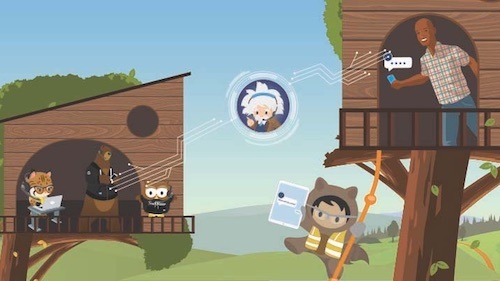 And new, deeper connections into the Sales Cloud, Service Cloud, and Marketing Cloud drive social data into the applications where your employees already live. With the modern social team in mind, we built the concept Workspaces into Social Studio at the most fundamental levels. Workspaces are a little like Chatter Groups: they contain users with certain roles, share access to assets (like social accounts or topic profiles), provide focus and context, and are easy to setup quickly. What’s most exciting is that the flexibility of of the permissions model allows you to map to your company’s culture, values, and work style. Want a more open, flat hierarchy? You got it. Want more ‘top-down’ control and oversight? That works to. Workspaces let you control without having to micromanage. Social Listening is about understanding what’s being said on social media about your brand, your industry, your competitors, or just about anything else. We search millions of social data sources from Twitter, Facebook, YouTube, blogs, forums, news sites, and more. The new Social Studio includes a completely re-built social listening engine that will unlock the power of Radian6 to a broader audience than ever before. This is social listening for the rest of us. Our new integrated listening capabilities will be a great addition to Social Studio, and our simple experience ensures it can be used by anyone, at your desk or on the go. Now Social Studio is integrated into the Salesforce Marketing Cloud, including single sign-on, unified navigation, and a simple user interface. McDonald’s is already using Social Studio to optimize social conversations across more than 14,000 social properties for all of its U.S. restaurants, the largest brand deployment ever on Facebook. Customer service teams can monitor social channels for customer support issues, create a social case in the Service Cloud, and route cases to the right people to resolve of customer issues quickly. With the new, third-generation integration of Social Studio and Service Cloud, you can support and delight customers on leading social networks like Facebook, Twitter, Google+, and Sina Weibo. Sales reps and marketers can now listen to social conversations to identify potential prospects and route them to the right salesperson using the Sales Cloud. Any sales rep can find and connect to new customers faster with social lead generation and tap into the power of real-time responses directly from Sales Cloud. 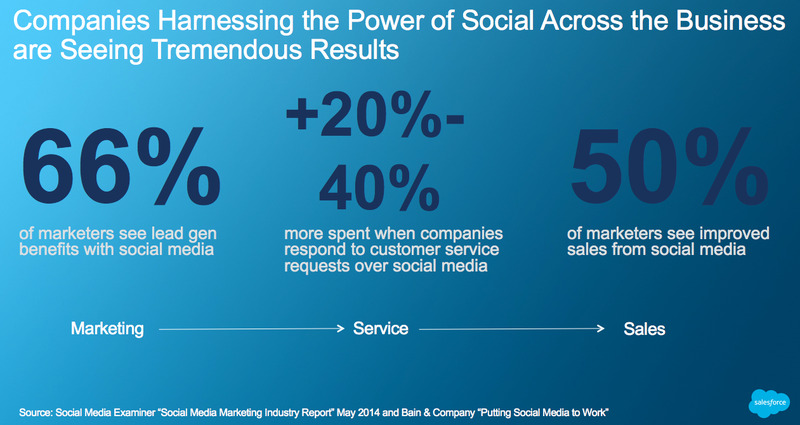 Companies harnessing the power of social across the business are already seeing tremendous results. According to Bain and Company, customers spend 20-40% more with a company when the company responds to customer service requests over social media. 66% of marketers also see lead generation benefits with social media, and 50% see improved sales from social media (source). According to a recent Gartner report, a social media strategy to engage with customers is no longer optional—it is a necessity. Businesses need to be able to extend social media across the entire business, and Social Studio is breaking down the silos across sales, service, and marketing, democratizing social for business users across the company. But don’t take our word for it. Our customers include amazing companies like Activision, Aetna, Citrix, JetBlue, McDonald’s, and Symantec. They’ve seen how Social Studio can help unlock the power of social success across their business. We’re proud to bring you this new version of Social Studio, and encourage you to see it for yourself. We think you’ll be as excited about it as we are. Learn more about Salesforce: visit our website or download our free e-book, below.